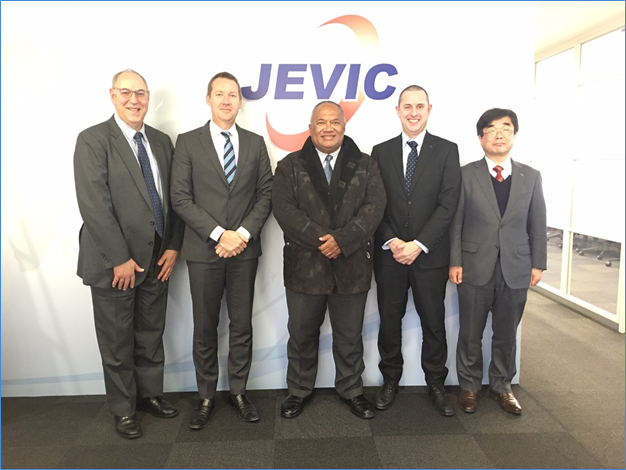 HE Mr Isikeli Mataitoga visited the Japan Export Vehicle Inspection Center Co. Ltd. (JEVIC) on Tuesday, 7th February 2017, and met with Mr Damon Jackson, President and CEO of JEVIC at the company Head Office Yokohama. Also attending the meeting were were Mr Yasuhiro hayakawa, Director and General Manager, Mr Aaron Treadaway and Mr Lee Sayer IT & Public Relations Manager from JEVIC, while Ms Kelera Savu, Second Secretary accompanied Ambassador Mataitoga. JEVIC is a Japanese-registered company whose business activities include pre-shipment inspection and certification of cargo. JEVIC services are primarily for used-vehicle inspection and extend to vessels, containers and new vehicles, and they provide independent pre-shipment inspections, surveys, verification` and certifications. 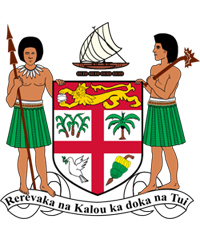 JEVIC currently inspect/certifies all used vehicles currently being imported into Fiji from Japan. 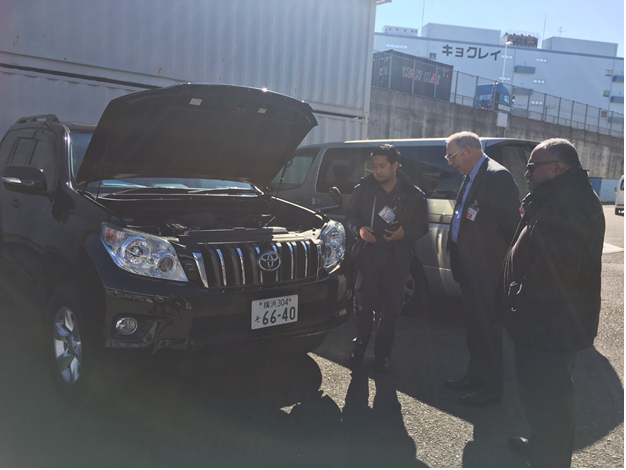 The visit was an opportunity for the FET to see first hand the inspection site and procedures undertaken for each vehicle that undergoes inspection and certification for shipment to Fiji.